With the success of Mission Shakti, India has once again demonstrated its satellite technological capability by hitting a live satellite 300 km away in the low earth orbit (LEO). India has become the fourth country in the world after the United States, Russia and China to have tested an anti-satellite missile. There is every reason for the country to feel proud of our scientists. Earlier, with the successful ‘take off’ of ‘Mangalyaan’, India took a giant leap in its march to Mars and became the fourth country in the world to undertake such a mission after the US, Russia and EU, leaving China well behind. By launching 104 satellites on a single mission on February 14, 2017, we created history by overtaking the previous record of 37 satellites launched by Russia in 2014. India displayed its prowess in space technology in 2008 with the launch of 11 satellites from one space vehicle. In February 2013, with the successful launch of six satellites, we once again proved that in the field of space technology, we are a force to reckon with. Today, India has not only achieved considerable self-reliance in space technology but has also promoted its commercial utilisation. But with globalisation, liberalisation, privatisation and commercialisation, the area is bound to face legal issues, including contract fulfilment and dispute resolution. The present legal structure is grossly inadequate to deal with these changes. Hence, there is an urgent need for India to legislate on these issues. Legal concerns around usage of outer space for security and defence purposes by different nations are slowly forming a significant discourse in the international space law. This gains significance in the light of the fact that space and its resources can be made accessible to all the countries and not just the superpowers. Barriers to entry are lower than ever, and many countries are enjoying access to and the benefits of space in unprecedented numbers. Today, space is the domain of a growing number of satellite operators; approximately 60 nations and government consortia operate satellites, there are also numerous commercial and academic satellite operators. Paradoxically, while it is becoming increasingly easier to access as well as to benefit from space, space is also becoming increasingly congested and contested. The domain of international space law deals with five multilateral treaties — Outer Space Treaty 1967, Rescue Agreement 1968, Liability Convention 1972, Registration Agreement 1975 and Moon Treaty 1979. The legal principles set out in these five treaties provide for non-appropriation of outer space by any one country, arms control, freedom of exploration, liability for damage caused by space objects, safety and rescue of spacecraft and astronauts, prevention of harmful interference with space activities and environment, notification and registration of space activities, scientific investigation, exploration of natural resources in outer space and settlement of disputes. Each of these treaties lays great stress on the notion that the domain of outer space, the activities carried out therein and benefits occurring from it should be devoted to enhancing the well-being of all countries and mankind. Each treaty includes elements elaborating the common idea of promoting international co-operation in outer space activities. Right from the beginning, India has argued that by setting aside ideological differences and acting in a mutually co-operative manner, both scientifically and politically, states can derive maximum benefit from space technology. Outer space, in its view, should be reserved exclusively for peaceful purposes, and the sovereignty of nations should be set aside in favour of international concerns. 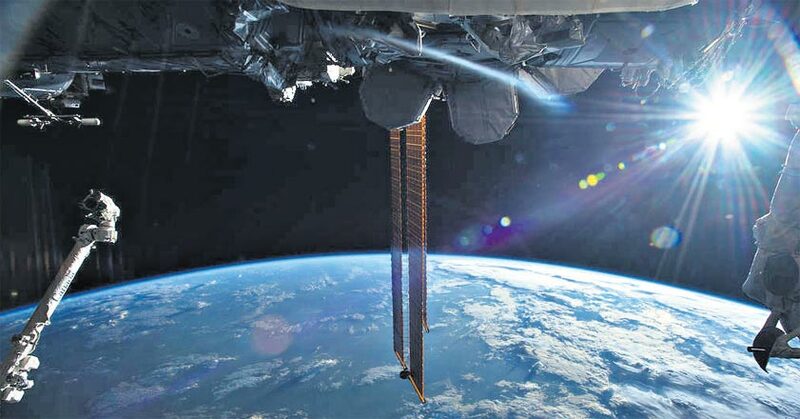 On the issue of militarisation and weaponisation of outer space, India has cautioned against any arms race in space, as it is a threat to the international community as well as its economic health. Its fundamental position has been that international legal norms should lead and guide the advances in technological applications rather than being guided by the latter. It believes in more co-operation among developing countries, as the benefits arising from the use of outer space are meaningless unless they are extended to developing countries. India is also committed to offering assistance and co-operating with other developing countries in the field of space science in a mutually beneficial manner. India consistently favours equitable access and rational utilisation of the geostationary orbit. It voiced its concern for a comprehensive international action plan to stall the danger posed by space debris. To protect the global environment, it initiated a new co-operative space mission – PEACE (Protection of the Environment for Assuring a Clean Earth). Though the proliferation of space activities is going on in a big way, there is no specific space legislation in India. Space and space-related matters here are regulated by legal rules belonging to different areas of domestic law. However, time has come for the preparation of appropriate legal framework, keeping in view the recent national and global developments, which include the active involvement of the private sector and commercialisation of space activities, the agreements concluded nationally and globally with various agencies, governments and international and intergovernmental organisations. Other pressing issues for domestic space legislation include cable and satellite and related developments — all remind us for the need to have comprehensive space legislation in India. Space technology involves huge amounts and high risks of public and private funds. In all probability, there would be growing litigation or conflicts that cannot be solved by the existing system. The proposed legislation should provide for the creation of National Space Agency, Licensing and Certification of space activities, economic conditions of space activities, a provision for space infrastructure, space safety and space liability, space insurance, international cooperation and protection of intellectual property rights in outer space. This draft legislation should be a convergence of divergent regulations in order to bring comprehensive and harmonious space legislation.